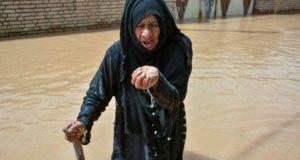 Ali Amouri in a conversation with an Iranian pro media in Ahwaz, referring to the drought and a severe shortage of water in the Ghizaniyah section, said: “40 villages in Ghizaniyah are facing serious lack of water in supplying drinking water and water reservoirs are empty. He pointed out that water shortage is a very serious concern and the mobile water tankers’ drivers had not been paid for two weeks. The head of council in Ghizaniyah section said that since the beginning of the year there has not been much rain. he said: “We had a small rainfall and that weather condition did not help the farmers to grow their farms. The farms aren’t eligible for insurance as the farms weren’t in a good condition. Agricultural experts also said that the seed was damaged and could not go green. “We hope that by the end of the year to have more rain as our livestock is dying,” he also added that most Gizzaniyah farmers are selling their livestock due to lack of water. Amouri added that the problem of drinking water, the destruction of agricultural lands and the loss of livestock caused an increase in migration from the area. 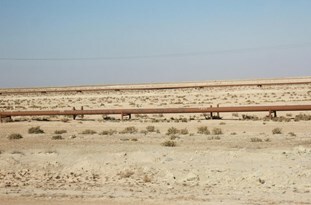 He said: The Gopal Seasonal River, flowing to three hills, Ghazaniyeh, Sharifiyeh and Mansouriyah, has been dying due to oil production, causing the three River to become desert. 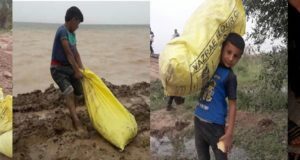 The head of council in Ghizaniyah section said that we tried to open the upstream dam, but we were told that there is also little water in the dam, and some of it will be released in the event of rain. 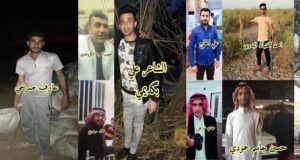 Mass Arrests (160 names) in Ahwaz, Continuous!